Škoda has extended its “No VAT” offer across all Octavia, Roomster and Fabia models (except Fabia vRS), with a potential saving of up to £3,388. This offer, which was to close at the end of June, will now continue to apply to orders taken up to 31 December 2010. 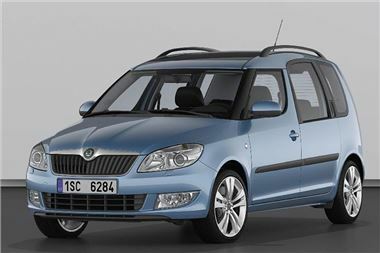 Škoda Finance is offering 0% APR typical finance on selected Fabia, Roomster and Octavia models until 30 September 2010, including the exciting new Fabia vRS hatch or estate which is available in showrooms from the 29th July 2010. In addition, Solutions low-rate finance is available across the range, including the new Yeti. At just 7.9% APR typical, Škoda Finance offers rates lower than the average high-street bank rates. Solutions is a personal contract plan that offers customers flexibility to drive the car they really want. It provides Škoda customers with the ability to lower their monthly payments to fit their budget, or even afford a higher level Škoda model within their means. Solutions is also a good choice for customers who like to change their car every few years. See www.skoda.co.uk/ourcars for more information on Škoda’s range of great cars and offers. Reduction applies to RRP including factory-fitted optional extras and is equivalent to VAT at 17.5%.